I absolutely LOVE blogging and helping others. I’m an introvert IRL but online, I love collaborating, helping others and creating content and products for others. There are other mom bloggers with multiple blogs doing the same thing! So, I wanted to share all the blogs I have or am affiliated with and tell you more about them – like if they generate income – and why I started them. Innovative Ink was the first blog site I put up with the intention of marketing my freelance writing service. Before that, I was trying to be a freelance writer, but only getting paid pennies for my work. I knew that if I created a professional looking site, I could market it and at least show prospectives what I do and how I could help them. The look of this site has changed drastically from when I put it up almost three years ago. 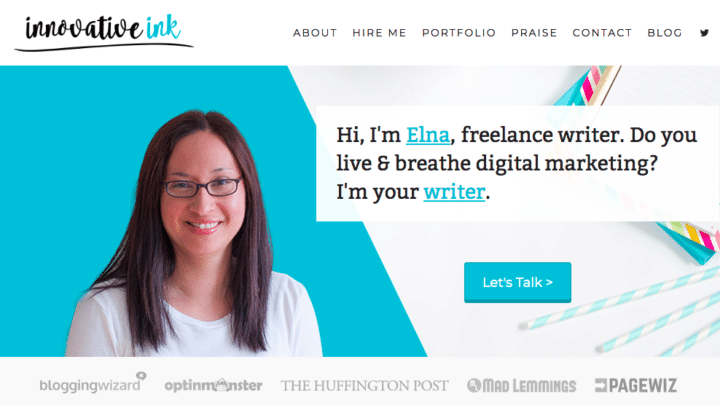 I had a blog on this site, but I was blogging about freelance writing and wasn’t using it as a way to get clients. About a year later I moved my blog to where it is now (but I’ll get to that later). This little site has helped me land high-paying work and consistent and recurring work from influencers, small businesses, and brands. Within six months of putting up my website, I was earning a full-time income only doing this part-time. My twins were around 19 months old when I started this. I typically charge $200 per 500 words. It’s not unusual for me to charge $600 for a basic blog post in my niche. I still freelance write, but I have diversified my income streams, ensuring that the business is growing every day. So, I plan to keep this blog up and link to it when I pitch or guest post on relevant blog sites. I moved my blog from Innovative Ink to Elna Cain as a way to help new freelance writers start their successful journey. I didn’t feel that Innovative Ink would help grow my blog and that was the main reason for moving it. I fell in love with blogging for my clients and wanted to blog about what I was learning as a new freelance writer. Shortly after starting this blog site, I opened up coaching for new writers. For around six months I did 1:1 coaching, but I had to stop that service because of time commitments. I needed to find a way to offer my help exclusively but limit the time of doing that. That’s where course creation comes into my life! I decided to create a course for freelance writers. It took me a long time to publish it (four to five months). I had many clients and had my twins to take care of, and the course became comprehensive. I launched Write Your Way to Your First $1k in November 2015. It went through a complete revision in 2017. The biggest thing I did when I revised my course was moved it from hosting it on my site to Teachable and redesigned my sales page as well as re-wrote my sales page copy. Since doing that, it has been generating multiple sales every single day! I recently created a new course in November 2017 – Writer Website In a Weekend – which is a video course that walks you through how to set up a self-hosted WordPress site for your freelance writing business. It took me over two years to create a new course because I was busy with other blogs! My plan though is to create highly valuable and ultimate guides to help writers and create one more course. 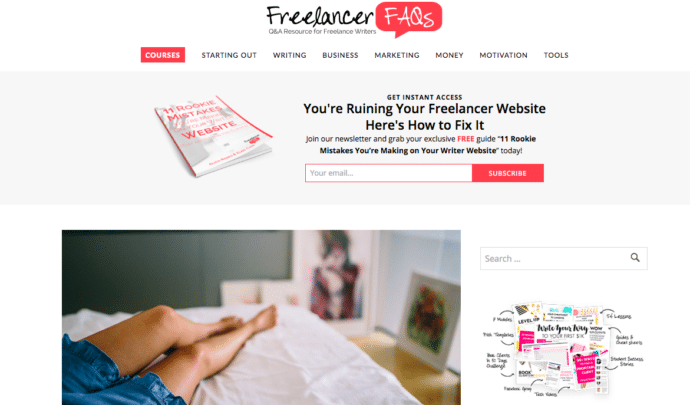 During the time I launched Write Your Way to Your First $1k a fellow freelance writer – Alicia Rades – stared a new blog called Freelancer FAQs. A few months later she emailed me and asked if I wanted to take over the blog site. She was busy with client work and just couldn’t keep up with the blog. 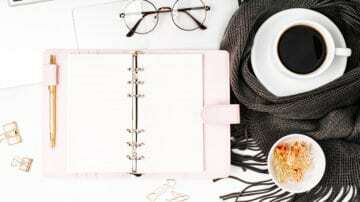 I thought about it for a while and decided that it would be a good platform to market my writing course and free courses as well as drum up some authority in the freelance writing niche. My role on this site is to oversee the blog. It’s primarily a contributorship blog where I have guest posters create the content. I occasionally write a blog post when I have time. I also have a set of regular contributors that post on FreelancerFAQs to help with having consistent posts. But, we are all busy and, lately, the content schedule is sparse. But, this site is aged, and it’s been voted as one of the Best Websites for Writers in 2016 and 2017 by The Write Life. Any income that comes from this blog is from the links to my freelance writing course or free courses. I do not do affiliate marketing or sponsored content on this site, and I don’t plan on doing that quite yet or if at all. Right now, I plan to redesign the brand and focus on more freelancing type of content to broaden the niche. I also want to change the lead magnet, but I just haven’t had the time. LifeStyleBody is an older blog site that my husband created. I’m into health and fitness and want to get this blog going as a way to build a niche blog in health. It’s another contributorship blog, but it’s not open to the public anymore. It does not generate income but once the traffic goes up, we will post ads on this blog for income. Right now this blog has content on lifestyle, health, fashion, and beauty. But, I plan to focus on just health. Twins Mommy is my first time at really blogging. Up until this point, I was only managing blogs or just blogging on my Elna Cain on freelance writing. I never blogged about being a mom to twins or working from home or even connecting with other mom bloggers that are doing the same thing as me. And since I LOVE blogging I wanted to start this new adventure. I thought I could help other work at home moms or stay at home moms that want to start blogging. I launched the Twins Mommy blog site in March 2016. This opened the door to collaborating with other mom bloggers, and I was able to try new marketing tactics to grow my email list, my income, and traffic. I never focussed on growing my blog or email list on any of my other blogs. My Elna Cain blog has a free course, but I don’t heavily market it. Because as you see, FreelancerFAQs and LifestyleBody don’t get my full attention. I don’t market it or promote it as much, so there isn’t a lot of traffic coming to those sites. My Elna Cain site gets traffic, but it’s mainly because I’ve become an authority in Google’s eyes on the topic of freelance writing. This helps generate organic traffic to my site. So, with Twins Mommy, I was going to try something brand new, and I was super excited by it (and still am). First, I wanted to be authentic and tell my journey of growing my blog to my readers. 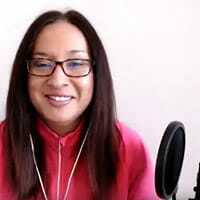 Next, I wanted to try new tactics to grow my email list like doing content upgrades, webinars and doing a giveaway. I wanted to try to monetize this site in the “traditional” sense of doing affiliate marketing. Finally, I wanted to help my subscribers and readers with more tips for growing their blog, so I created Ready Set Blog For Traffic and Pinterest Masterclass. I have over 800 students in Ready Set Blog for Traffic. I’m ecstatic by all of that! Recently, I tried a new tactic on Twins Mommy by offering a tripwire product. A tripwire product is a lower priced product that you offer as a one time deal. You typically offer it after a reader signs up to your list. This warms a potential buyer and makes it more likely they will buy from you again in the future. 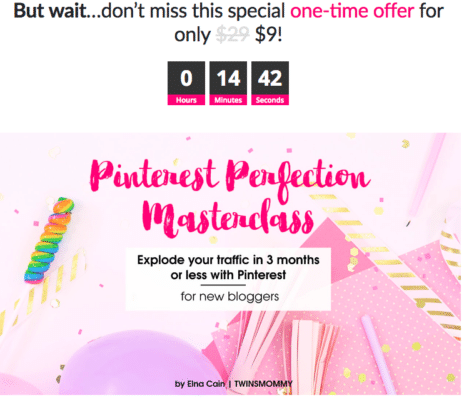 When I created my free Pin Promote Planner in December 2017, I also created a one time offer for my Pinterest Perfection Masterclass. This was a slide presentation + live tutorials that I created for this new strategy. You can only see this if you sign up to my Pin Promote Planner freebie, and you’re not on my list already. Taking that into consideration, the conversion rate is terrific. It hasn’t even been a month, and I already have 50+ students enrolled! I love growing Twins Mommy and helping moms make money blogging. I’ve built this brand to be authentic in who I am and what I do. Because of having Twins Mommy, I was offered a Facebook group, which I collaborated with another blogger called Mom to Mompreneur. I recently took over the group, and I’m shocked by how fast it’s growing and what amazing moms that are in this group! 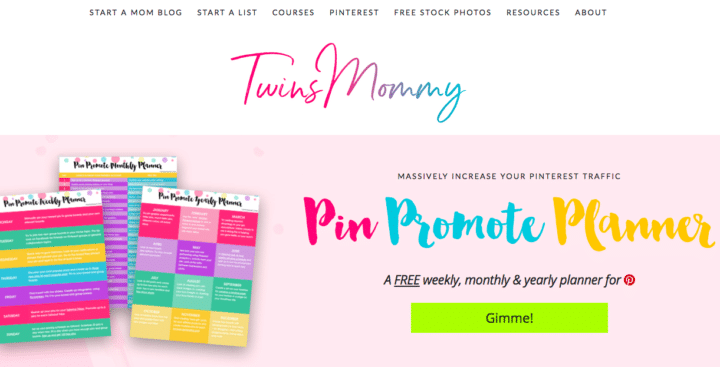 Twins Mommy has also helped me grow my Pinterest presence! I’m working hard on cracking the Pinterest code, and I’m succeeding (yay!) and have been sharing as much as I can with you! Today I want to share my top goals I want to achieve with Twins Mommy. Twins Mommy is a site to help you – mom blogger – earn an income from blogging.My top goal for 2018 is to provide more help in that way. I strongly believe income is tied to targeted traffic and I’ll spend my time online helping you with attracting your targeted audience.This will turn into income for you! Yay!! My other top goal is to help more moms start a successful blog/business. I do have some course ideas, but they are still brewing in my head. My goals are bit broad, but I’m okay with that. I do have a course idea for my freelance writing blog, so that means less time on this blog and my other blogs. Also, another goal for the business is to acquire or create more niche type of blogs. 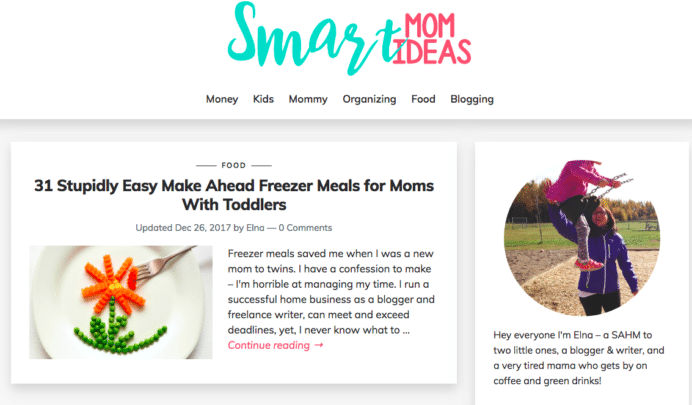 I recently took over Smart Mom Ideas after a blogger friend said she couldn’t manage it. I was helping her with it from the very beginning, so it was a no-brainer to take over it. It gets 300-500 visitors a day, and often has spikes of 1000-2000 days. This is surprising since it has been neglected for months (but that’s the power of Pinterest and legacy pins!). Smart Mom Ideas will have topics for new moms, pregnant moms, and moms with toddlers. I know. That’s a huge audience on one blog. What I’ll have to do is see which audience I attract the most. If it’s mostly moms with toddlers, then I’ll create content for them. But if I attract new or pregnant moms, then I’ll make that the focus. For now, I’ve created all sorts of parenting type of content and am having fun. I do have Amazon as an affiliate for this blog, which is totally new to me. I missed the whole gift guides this past holiday with Smart Mom Ideas. I was too busy creating my trip wire and the 12 Days of Pinterest Tips posts, as well as my free Pin, Promote Planner. I want to get started on the whole “new health” kick for Smart Mom Ideas, but with my looming client work, I’m not sure if I can do it all! I plan to create valuable and helpful posts and try to create income with promoting Amazon stuff. 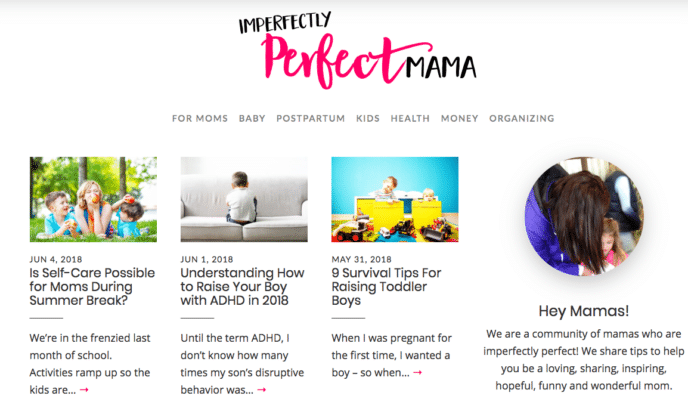 I recently launched a guest posting blog called Imperfectly Perfect Mamas. The voice on this blog site comes from all types of moms and let me tell you, reading these posts have made me laugh, smile and cry (ugly cry too). This is my newest contributor blog and it’s my passion project right now! I applied for Mediavine for this blog and it was accepted so it will start generating income soon. I love blogging so much that I could probably blog all day. But that’s not healthy (sitting can be worse than smoking!) which is a good thing. When my twins were little, and at home, I did all my work when they slept. But then they lost their day nap, and that cut down my productivity a lot! So I had to find ways to slip in some business during the day. I’m okay setting up play dough and letting my little ones make a mess for an hour. I’m also okay if I dump a load of towels and they have fun trying to fold towels for a half hour. I find ways to occupy their time and do my best to get my work done. Right now my twins are with their grandparents, and I have about an hour to write and get this post ready. That’s enough time for me. When my twins are sleeping, I work on client work and course ideas/lessons. I try to focus on the things that will generate income, traffic or more email subscribers. I’m working hard at not wasting time scrolling my Facebook feed or Pinterest feed (which is still very had for me not to do!). Finally, I repurpose a lot of content which cuts down time almost in half. Do you have that itch of wanting to do something new every few months? Or, thinking about starting a blog? Do it! It WILL change your life!! Let me know in the comments if you have multiple sites! I want to visit them! Thank you so much! *hugs* I work hard but I love every minute of it. I absolutely LOVE blogging and starting blogs and helping others do the same!!! What an incredible post! So inspiring! Just like you, I have that entrepreneurial spirit and would love to have several niche blogs one day! I love writing, but the things I am passionate about are so diverse that they could never fit all in one blog! For now, I am focusing on building my one and only blog at this time, but who knows what the future may hold? I love seeing that this is possible, especially with having kids (I have 4 little ones, and it’s hard to manage everything some days)! Anyway, I just wanted to comment and say that I find your posts so inspiring and helpful! Thank you! Omg this is amazing. I always thought I was crazy for wanting to rub multiple blogs. My issue is that I try to grow all significantly at once. I’ve finally committed to committing to one at a time, getting one going pretty good and then moving on. Go mama! I’ve been following you for a while, but finally took the time to comment. Thanks for always sharing so much! Thanks for commenting!!! 🙂 Yes, not many bloggers have this monetization strategy of doing multiple niche blogs! I LOVE blogging and writing so this is a great strategy for me! Glad you are going to do the same! So great to read how you manage to take care of all your blogs, you’re killing it! Thanks so much for stopping by! I’m glad this post inspired you for your blogging journey! Yes, finding new blog ideas can be a challenge but sometimes they just pop in your head quickly! I have an idea floating around in my head but it’s actually the blog name that’s challenging and so difficult to come up with! I had no idea. I have 6 blogs/sites just because i love experimenting and seeing how different niches work. Plus its just plain fun to see what surprising things happen. I love hearing that someone else gets excited over these things too!! Wow! Six blogs! Nice…hmm..I have three main blogs I blog on and three that I manage! Nice to see someone else doing something similar to me! Enjoy the experiments! Loved this post! I’ve always been curious how many blogs you actually have – and how the heck you manage them all! I feel you with the client work! I went from marketing my freelance writing/copywriting biz excessively, to know getting leads in my inbox all the time. I’m getting a new blog started soon, that’ll be a beauty/health/wellness blog. I’ll also have a YouTube channel for that blog, where I’ll do makeup tutorials and other videos related to health and wellness. (Another passion of mine lol). I would love to see how you stay organized! If you use Trello or Google Sheets..etc, and how it looks for you to stay organized with all of your blogs! Nice to hear from you! I know you’ve been busy with client work! Good for you mama! How exciting you’ll be starting a new blog! I love starting new blogs 🙂 Good luck! I always love your stuff. My first encounter with your blogs was with Elna Cain and Innovative Ink back in college. It was from you, Jorden Roper and Carol Tice that I fell in love with working online. It is amazing that since I decided to transition from freelance writing to blogging this year, here I am still consuming your products. It is my fourth month blogging (@ sproutmentor.com), and since I love writing blogging was like a blessing. I hope to overcome all the newbie challenges (low traffic, no money etc) and break through the blogging code. With helpful advice from bloggers like you I know I will! Once I do, I cannot wait to create a series of other blogs like you once I breakthrough in this one. You are such an inspiration to many like me. Thank you so much I look up to you Elna. Keep it up! Thanks so much!! Congrats on your new blog and your topics sound awesome. I’m sure your blog topics will help others! Great work Elna! Very inspiring post. Sharing this out to my community now! I have got started blogging. You are a big inspiration for me while working hard to accomplish my goals. Please feel free to check out my website. Reinestorm.com and let me know if you have any tips, comments you would be willing to share. That’s awesome you started blogging! Yay! I saw that when I tried to pin a post, there was no Pin size graphic to pin? Maybe start incorporating Pin sized graphics in your posts so people can pin them? Also, I didn’t read all your blog posts, just one and noticed that you didn’t have any sub-headings in your posts. This is a great way to help the reader understand what they are reading and give them a sort of “map” of what they are reading. So try adding some H2 subheadings. In WordPress you just click on “paragraph” then Heading 2 and then write a subheading. This is like a sub topic you are talking about. So if you have a list post, then each number list item would have it’s own subheading. Make sense? Elna, thanks so much for the inspiration! I’ve had an idea brewing for another blog in my head for a while but haven’t made the jump yet. After reading this, it’s given me a confidence boost to do it! I’ll leave my current blog below and will comment again when my second is launched! I’m so glad to hear this. I can’t wait to look at your second blog. Using blog niches as a business strategy is challenging but oh so fun and addicting! I love creating new blogs and brands for sure! Thanks for sharing your journey Elna. I am surprised that you find time to do all those things. I must be doing a lot of analysis paralysis as it took me 4 days to create my first course with over 20 videos. Post-production takes a lot of time when doing a video course. Are your courses mostly video or text? Thanks so much! Yes, it takes me time to write and publish my posts, but I always push myself and since I write every day, I am getting more efficient and faster! Hi Elna! I loved reading your post. I recently opened an Etsy shop (where I make toddler and kids gifts). I started a blog as a way of building traffic to my site, but it hasn’t been very successful. I’m wondering if I should focus on reaching out to other bloggers to see if they will feature my products? Do you have any tips for how to approach that? Thanks for joining us in the Mom to Mompreneur Facebook group! I like your designs! I’m not too familiar with marketing for etsy owners. I would work on networking with other bloggers and trying to land guest posts on other mom blogs or blogs where your target audience is. Get the word out for sure! Hi Elna. I enjoy reading your posts because it’s super informative and inspiring! I’m starting my own blog at the moment but would like to work on growing it. My main focuse is starting with Pinterest. I’ll be taking your courses for extra help! Thanks! Yay! Thanks a bunch mama! Email me anytime you need help! just pinned this excellent post! (as well as several others – I could spend all day scrolling your blogs). Helpful and inspiring, as usual. I *wish* I had multiple blogs, especially with how everyone emphasises having a niche (I think it’s impossible for me to write about just one topic, therefore I need multiple blogs! haha), but first I want to focus on creating some income with one blog, in hopes of funding future endeavors! Baby steps, right? Thank you so much! <3 Having multiple blogs is very time consuming and can be exhausting for sure! Enjoy your one blog and let it blossom before starting a new blog! Yes, I know what you mean! Congrats on being a serial blogger like me!! Thank you for this, Elna! Working on my blog and having two kids has been a struggle for me, but I’m slowly figuring it all out. Love your tips & your blog! I took your Ready Set Blog for Traffic class and felt it had so much value for the price! I now recommend it to others! Thanks for all of your help! I have bought 5 other domains and tried to run 2 blogs at once, but in my first 6 months of blogging…it was just too much. I’m starting to manage my time better now (I’m 1 1/2 year in), and have really been thinking about bringing the second one back to life. It was gaining popularity quickly, considering it’s short life, and the Facebook Page is still alive and growing. This post is very inspiring and eye-opening (contributors!! Duh. ), and now I love you even more. Keep doing what you’re doing, because you are rockin’ it! Virtual high five coming at ya. Thanks so much! Yes, time is what no one has! I love starting new projects but have a hard time finishing them! Ha, but I have my husband to hold me accountable and that helps out a lot. My recent blog Smart Mom Ideas has sooo much potential but I just don’t have the time to write those big list posts for that blog! I totally feel ya! I see what you mean. It’s up to you to see where you want to take those sites. You can revive them for sure! That’s what I want to do with LifeStyle Body! Wow, you’re incredible. I have no idea how you manage all these blogs and be a mom. I love everything you do! Love the sound of your Mom Ideas blog! I also didn’t realize you had so many, so I’m looking forward to checking them out. Thanks so much for popping over! Oh, I didn’t know you’re in my FB group! Cool! I’m glad you like it and I can’t wait to share my Pinterest tips in the group! Elna, you are killing it girl. Didnt know you had so many blogs. Kudos! Thanks so much! Yeah I’m swamped with all these blogs but learning that I’m not alone! There are many serial bloggers out there! Great post Elna. I have 5 blogs myself! This is amazing! I suffer from Shiny Object Syndrome and have started a handful of blogs, but unfortunately I haven’t been able to make any of them into a real business. I am so inspired by your journey. I can’t wait to hear more about all of your projects. Thanks for sharing. Yes, I suffer from shiny object syndrome too but it’s been curbed A LOT since I started growing my business. Now I only focus on projects that will grow my brand and income! Thanks for stopping by! Thanks for this post, Elna. This is the question I’m struggling with right now. I’m a single mom of two, running a six-figure freelance writing biz from home and I’ve been dying to start a blog but I’m having a hard time finding my focus. I want to write about entrepreneurship for single moms, personal finance (which is a huge pain point for a lot of solo mamas) and productivity/living intentionally. The trouble is, I can’t decide if it should all be on the same blog, or if I should have a different blog focused only on entrepreneurship/working from home and keep the financial/intentional living stuff separate. It’s so hard to decide and I’m amazed that you’re able to juggle so many blogs at once! Thanks so much! Congrats on your six-figure freelance writing biz! I would consider starting a new blog myself, but that’s me! I like creating a new brand and logo and images and stuff like that! Thanks so much! 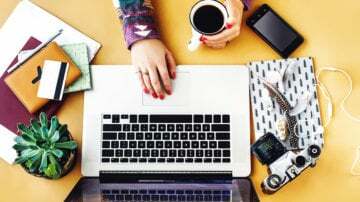 Yes blogging is what I LOVE to do and I can’t stop it! ha… Love your blog btw!